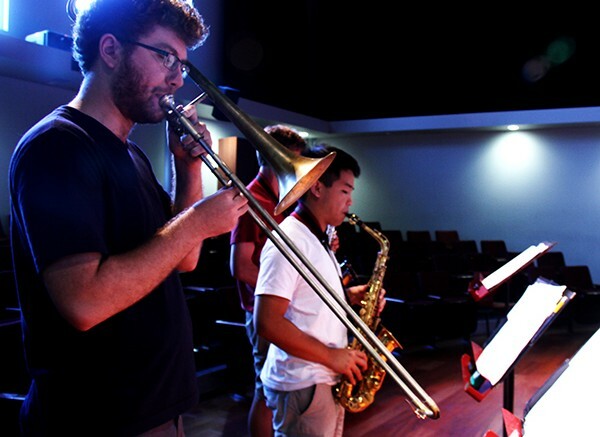 The American River College music department is hosting a concert to be performed by the ARC Jazz Collective and other ensembles and featuring songs that were hand-picked by the students that are involved on Friday. The Collective is one of four ensembles that was formed this semester. Each ensemble has its own set of tunes that it handpicks. “It’s basically a lot of our jazz majors who get together, sometimes with a theme, sometimes with their own set of tunes,” ARC music professor Dyne Eifertsen said. Any student with instrumental experience is able to join the chamber jazz ensembles class, and then be placed in or form their own combo bands. For the The Collective, auditions are run by both Eifertsen and Joe Gilman, another music professor. The music performed covers a wide variety of styles, such as standards including Sonny Burke’s “Black Coffee” and “Corcovado” by Antonio Carlos Jobim. Chamber jazz rehearsals are often self-run, with the groups having relatively less direct instruction from the directors. A single jazz combo group is smaller than the instrumental ensembles usually are, and as a result each individual musician is more exposed to the audience if they were to make a mistake. The concert will run from 7:30pm to 9:30pm in room 547. Admission will be $8 for general admission and $5 for students and seniors. Be the first to comment on "ARC will be hosting Jazz Combos Showcase"